The recent conservative party defeat in a state election, indicates that even in stable and prosperous Germany, there is rising discontent among voters towards the status quo. Chancellor Angela Merkel decided in 2014 for her nation and the European Union (EU) at large, that refugees from the Middle East would be permitted to migrate to Europe. For the first time in postwar history, the conservative Christian Democrats received fewer votes in a state election than a populist movement on the right. Their portion of the voting share, was less than 20 percent. That it happened in her home state of Mecklenburg-West Pomerania was particularly embarrassing for Chancellor Merkel. Riding a wave of discontent with the Merkel migration policy, the Alternative for Germany was able to achieve a stunning electoral victory. 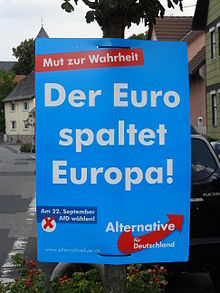 The winning political party has only been in existence for three years, but its anti-immigration platform is resonating well with German voters. The state elections in Berlin scheduled for September 18th are likely to deliver another blow to Angela Merkel and her coalition partners. Various factions within the ruling coalition, are beginning to think that perhaps it is time for the German government to modify the present stance on migration into Germany. Although Chancellor Merkel has doubled down on her decision to allow the migrants to settle in her country, support for the policy is waning even among allies. Merkel has been Chancellor of Germany since 2005 and maintains a strong grip on power, yet her popularity polls are sinking. Winning three consecutive electoral victories, the next national election due in the autumn of 2017, will be more challenging for her. 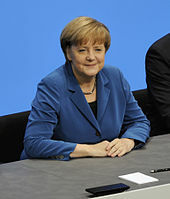 Merkel is still likely to win, but her ability to command large majorities in the national legislature will be reduced. Polls at present show the ruling coalition will lose seats in the next seating of the Bundestag (national legislature), which will follow the elections just a year away. The country will move from 5 to 7 political parties, being represented at the federal level. The Alternative for Germany will share in this new representation. The political result of this for Germany ,will be a shift in power from the the office of the Chancellor back to the legislature. This in turn, may well bring a change in policy concerning the German position on the restructuring of Greek debt, and Brexit. It will also convey a change in temperament towards future financial bailouts. The model of assistance that was given to Ireland, Portugal and Spain, will no longer be applicable. 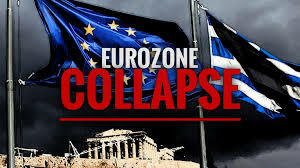 Therefore, the outcome of future German elections matter enormously, to the direction of the Euro-zone and the EU. The position of the German government will be decisive in major policy decisions, given the economic strength and political weight the country has inside Europe. Presidential elections in Austria that were scheduled for early October, have been recently moved to December. The earlier electoral victory of former Green Party leader Alexander van der Bellen in May by just 31,000 votes, had been invalidated. This was due to anomalies in the counting of postal votes. 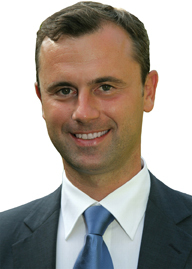 His opponent which recent polls now favor, is Norbert Hofer of the right-wing Freedom Party (FPO). Mr. Hofer favors stronger restrictions on immigration and a roll back on the influence that the EU has on the economy of Austria. He blames both for the high unemployment rate in the country. The country has been without a president since July 08th. The recent postponement of the new election, is another embarrassment for the ruling government of Chancellor Christian Kern. If Norbert Hofer wins as now is expected, he will be the first populist right wing head of state in Western Europe since World War II. His party already holds 40 of the 183 seats in the National Council. The upcoming referendum in Italy sponsored by Prime Minister Matteo Renzi, is attempting a major overhaul of the political system of the country. After 70 years of corruption and political instability, the proposed reforms will make it easier to pass legislation. In the post war period, no Italian government has been able to remain in power, for the full term provided. Matteo Renzi during a press conference in June 2016. Prime Minister Renzi has unfortunately put his career on the line, much like David Cameron did in the United Kingdom, over the vote to leave the United Kingdom. 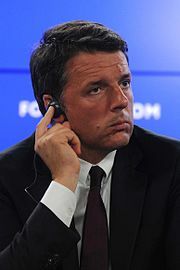 If the referendum fails to pass, Renzi has already said he will step down as the Prime Minister. The pro-European center-left Democratic Party that Renzi heads, could then be forced to hold new elections. In the meantime, the Italian 5 Star Movement and the anti-immigration Northern League, continue to make gains among the electorate. Italy already dealing with faltering banks, rising debt and a stagnating economy may easily descend into political chaos once again. It will leave an opening for the further rise of populist parties. If Italy ends up with a nationalist government, a plebiscite to leave the European Union will likely follow. In the United Kingdom, although the conservative government has survived, there has been a change in leadership. Former Prime Minister Cameron, aggressively campaigned for the country to remain in the EU. When the effort failed, he felt compelled to resign. Prime Minister May now has little choice in complying with the nonbinding referendum, but seems to be in no rush to do so. Unfortunately for those who predicted dire economic consequences following a vote for separation, the British economy has rebounded after the initial shock in June. Spain is also likely to experience a third election in a year. The caretaker conservative government of Mariano Rajoy, has failed to establish a majority in parliament despite repeated efforts. Continuing political instability, is having a negative effect on the country’s economic recovery. In France, nationalist leader Marine Le Pen is rising in the popularity as years of high unemployment and slow growth, are providing the environment for political alternatives. Recent incidents of terrorism and an ongoing state of emergency, are dimming the electoral prospects of socialist President Francois Hollande. French elections are to be held in the spring of 2017. According to present polls, Ms. 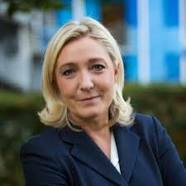 Le Pen is likely to make it into the second round of voting for president. This scenario would have been unthinkable, just a few years ago. 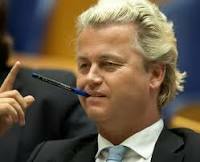 In the normally patient Netherlands, the right wing party known as the Dutch Party For Freedom is in the ascendancy. Earlier this year, founder Geert Wilders campaigned against the treaty favored by mainstream parties, that would of tied Ukraine closer to the 28 member European Union. Mr. Wilders wants to close the borders of the Netherlands to refugees and wants his country to immediately pull out of the EU. His party now polls ahead of any of the mainstream parties and is favored to win elections being held in March of 2017. In a future coalition government, he could end up becoming Prime Minister. 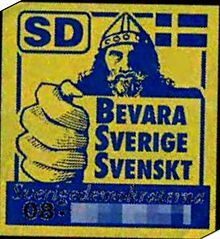 Even in socially tolerant Sweden, the far right Sweden Democrats Party was able to capture about 13% of the vote in the 2014 elections. This entitled them to 49 slots in the 349 seats of Parliament. The mainstream political parties have refused to form a government with them, which has therefore regulated the country to a unstable minority coalition, comprised of Social Democrats and the Green Party. The inability of the present leadership to tackle the most pressing issues of the country, have provided further credibility to Sweden Democrats Party. The party positions which include a more heavily restricted immigration, opposition to Turkish membership in the EU and a referendum on membership in the European Union, is gaining greater acceptance among voters in Sweden. In Eastern Europe, the rise of populist parties of the right, can be seen most dramatically in Hungary, Poland, Romania and in Slovakia. Conservative nationalists are already in power in Hungary and Poland. They are protesting the present plan to distribute refugees among member nations of the EU. They want to aggressively stem the flow of migrants into Europe. Their stance threatens to further undermine cohesion of the union. The crackdown in freedom of the press and a further consolidation over the court system that is taking place in both countries, is creating even greater fractures for the European Union. In Poland, the right wing Law and Justice party was able to gain control of the government through the elections of 2015. The parliamentary elections last year gave the party 39% of the total vote, which provided the plurality needed to maintain power. Viktor Orban and his right wing Fidesz party, running on a joint listing with a Christian Democratic Party, have won the last two parliamentary elections in Hungary. 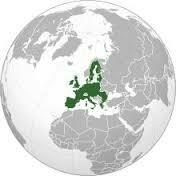 The party also has made major gains in the vote for the European Parliament, beginning in May of 2014. Jobbik an even farther to the right party, was able to capture 20% of the vote in the 2014 parliamentary elections. It is the third largest political party in Hungary. 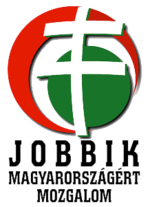 The Jobbik platform is based on economic protectionism, populism and most importantly given recent events, anti-immigration. Party leader Gabor Vona is attempting to purge the party of the most extreme elements, ahead of the 2018 elections. The goal is to make Jobbik positions more acceptable to a wider public. This will provide the opportunity to expand their power base in the parliament, allowing the party to be a coalition partner or possibly even control of the government. Every populist success in one European country seems to embolden similar groups elsewhere. The movement overall, is being further propelled by the lack of vigorous economic growth throughout most of the European Union. This is despite the herculean efforts made by the European Central Bank (ECB) in lowering interest rates and the ongoing policies of quantitative easing. 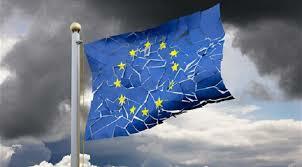 Years of living beyond their means, made possible by unsustainable debt levels, have made many countries in Europe unable to deal with the rising costs of the expensive social policies now in place. With the exception of Germany which has a budget surplus, most member states in the EU face a bleak budgetary outlook, in the face of an increasingly unstable financial system. The European Parliament. Comprised of 28 EU members. The massive influx numbering in the millions of refugees and migrants from both Africa and the Middle East, has put an additional strain on already tight government expenditures. The rise in Islamic terrorism within the EU, especially in those countries with a high immigration population, provides fertile ground for those politicians promoting more nationalistic policies. Although the precise contours of the political debate vary from country to country across the continent, voter dissatisfaction with the ruling elite is growing. The establishment continues to favor immigration, open borders, free trade and more integration of the European Union. As the strains of these policies become more evident, the political leadership is coming under pressure to change course. Their refusal to do so, is what is providing the environment that will allow the populist movement to flourish. As the voting public becomes more anxious about events that their government is unable or unwilling to deal with, they are open to the idea for dramatic change. The rapid rise of the far right that espouses positions of nationalism and populism, will be the final undoing of the European Union. The denial on the part of advocates for greater integration, that there is a crisis in public confidence, only feeds the belief that many voters now feel that their ruling governments have become inept.